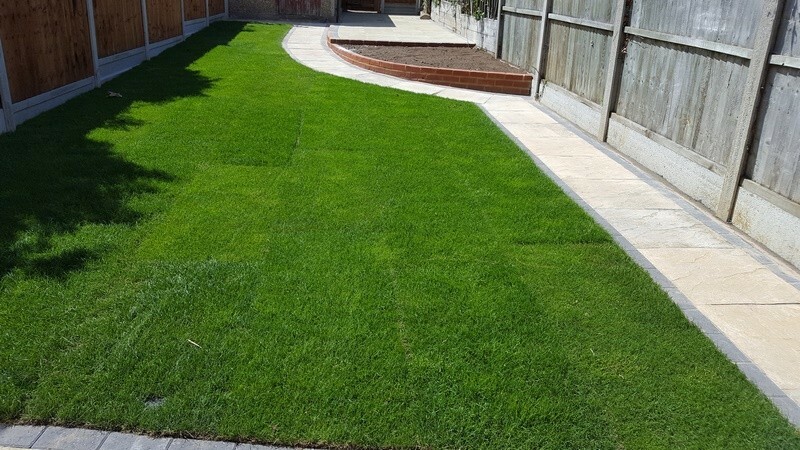 We have many clients in Essex that want nothing more than a garden that is practically maintenance free, so we would recommend artificial grass instead of having real turf. 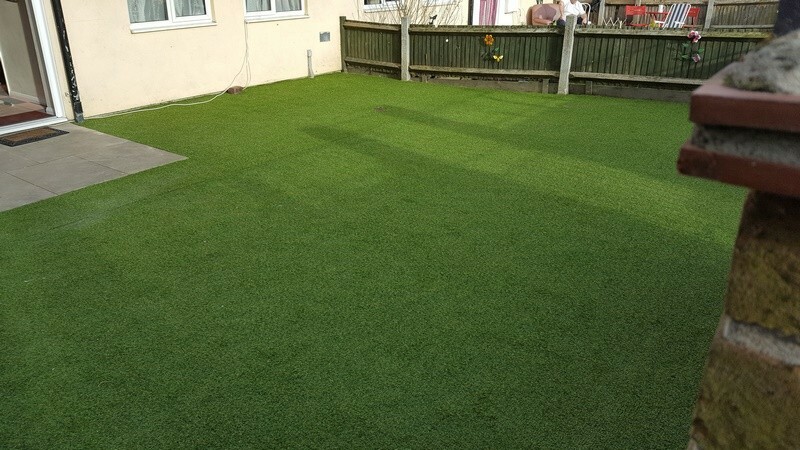 It looks just as good as real grass but without the hassel of having to cut it every week during the summer. 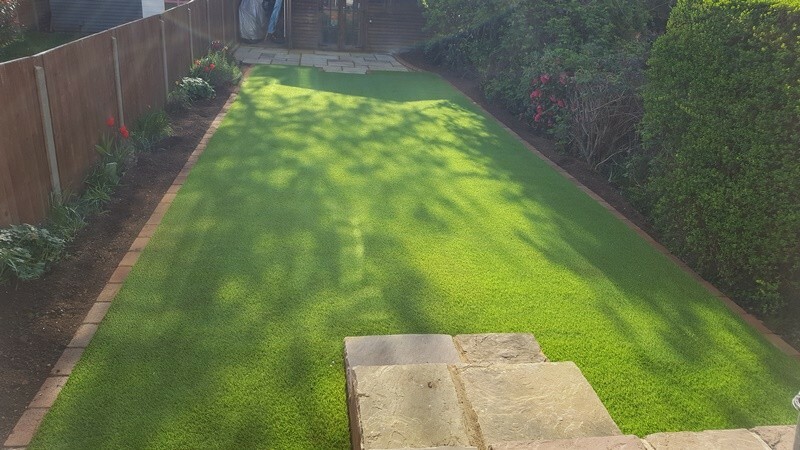 The project we completed here, was no different to our other artificial grass projects. 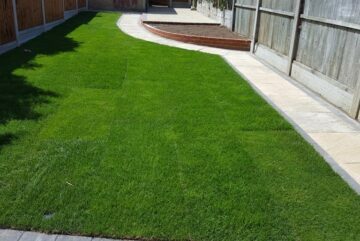 We visited the property to assess the garden and our client chose the type of artificial grass that we was going to lay. 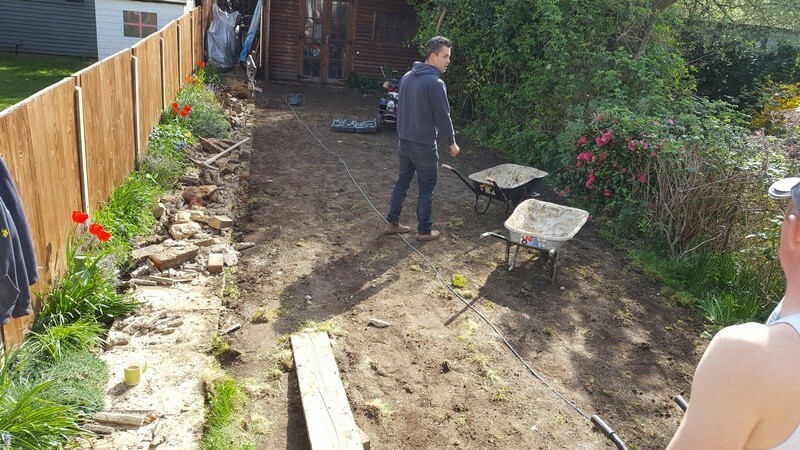 On the day, we dug up the selected area using a mini digger. A layer of crushed rock was then laid, covering the whole area. 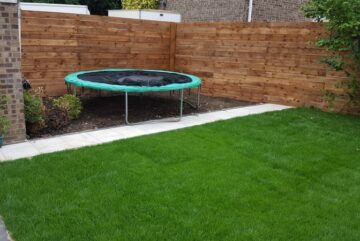 The area was levelled off before adding a layer of soil and weed membrane. 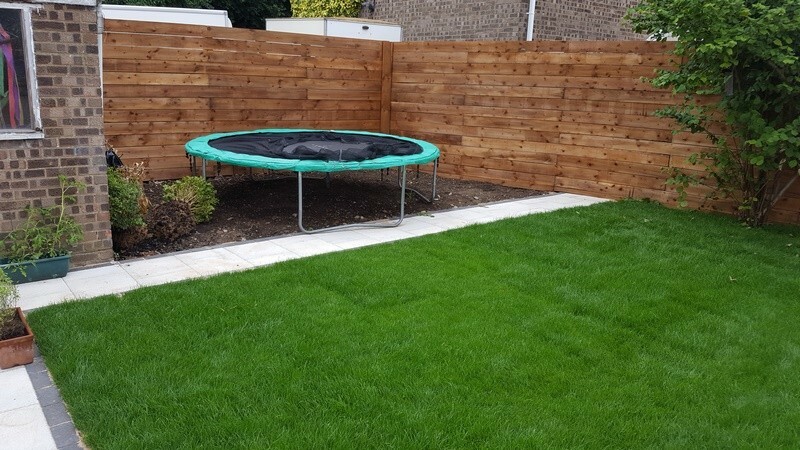 This is used to prevent weeds from growing through the artificial grass. 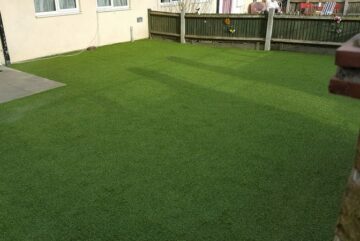 The artificial grass was then laid by our expert landscapers. 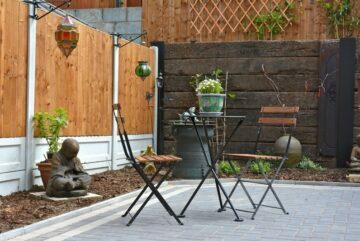 Our clients had bushes and shrubs to both sides of their garden so we left these where they were and tided up the area by adding soil to it. 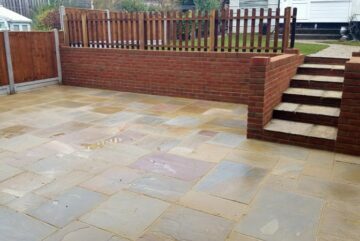 We finished off by adding brick edging to create a boarder. 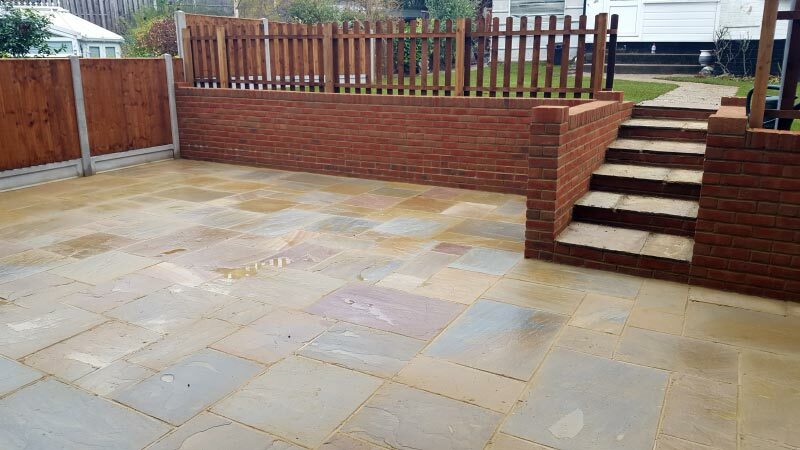 Our clients were happy with the finished results.